The anterior triangle is a region located at the front of the neck. 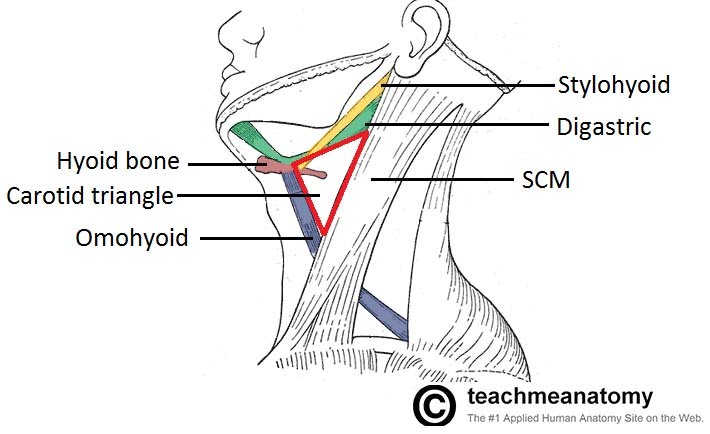 In this article, we shall look at the anatomy of the anterior triangle of the neck – its borders, contents and subdivisions. Note: it is important to note that all triangles mentioned here are paired; they are located on both the left and the right sides of the neck. Superiorly – inferior border of the mandible (jawbone). 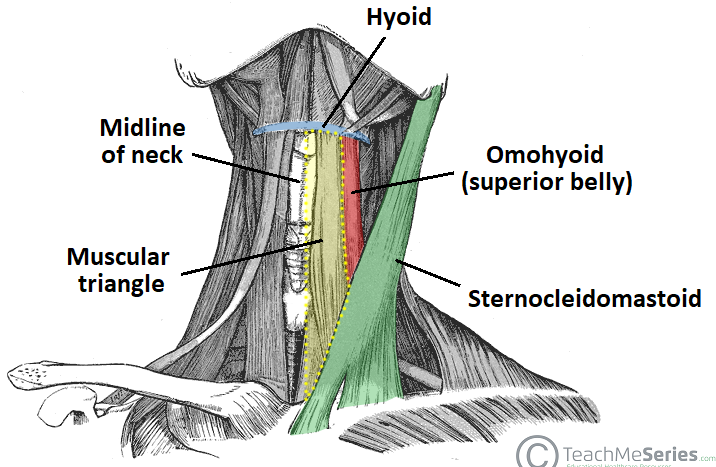 Laterally – anterior border of the sternocleidomastoid. Medially – sagittal line down the midline of the neck. Investing fascia covers the roof of the triangle, while visceral fascia covers the floor. It can be subdivided further into four triangles – which are detailed later on in this chapter. 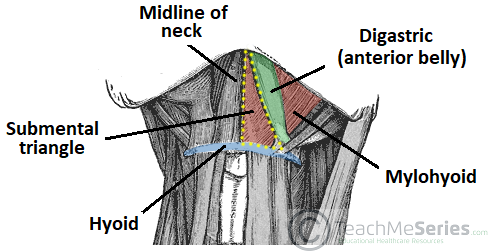 Fig 1.0 – Borders of the anterior triangle of the neck. 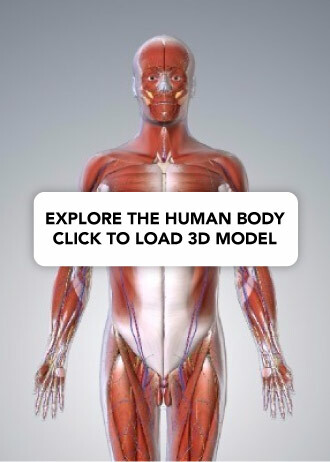 The contents of the anterior triangle include muscles, nerves, arteries, veins and lymph nodes. The muscles in this part of the neck are divided as to where they lie in relation to the hyoid bone. The suprahyoid muscles are located superiorly to the hyoid bone, and infrahyoids inferiorly. There are several important vascular structures within the anterior triangle. The common carotid artery bifurcates within the triangle into the external and internal carotid branches. The internal jugular vein can also be found within this area – it is responsible for venous drainage of the head and neck. Numerous cranial nerves are located in the anterior triangle. Some pass straight through, and others give rise to branches which innervate some of the other structures within the triangle. The cranial nerves in the anterior triangle are the facial [VII], glossopharyngeal [IX], vagus [X], accessory [XI], and hypoglossal [XII] nerves. 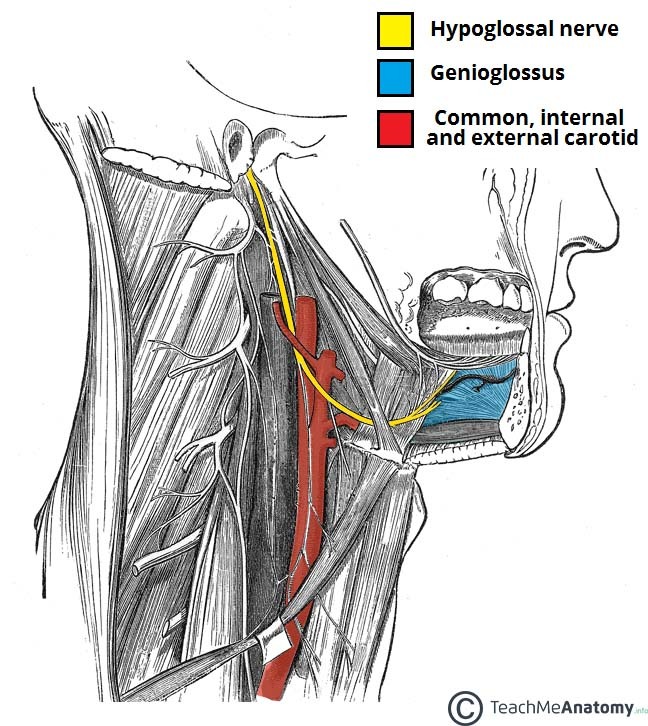 Fig 2 – The extracranial anatomical course of the hypoglossal nerve, through the anterior triangle of the neck. The anterior triangle is subdivided by the hyoid bone, suprahyoid and infrahyoid muscles into four triangles. The main contents of the carotid triangle are the common carotid artery (which bifurcates within the carotid triangle into the external and internal carotid arteries), the internal jugular vein, and the hypoglossal and vagus nerves. In the carotid triangle, many of the vessels and nerves are relatively superficial, and so can be accessed by surgery. The carotid arteries, internal jugular vein, vagus and hypoglossal nerves are frequent targets of this surgical approach. The carotid triangle also contains the carotid sinus – a dilated portion of the common carotid and internal carotid arteries. It contains specific sensory cells, called baroreceptors. The baroreceptors detect stretch as a measure of blood pressure. The glossopharyngeal nerve feeds this information to the brain, and this is used to regulate blood pressure. In some people, the baroreceptors are hypersensitive to stretch. In these patients, external pressure on the carotid sinus can cause slowing of the heart rate and a decrease in blood pressure. The brain becomes underperfused, and syncope results. In such patients, checking the pulse at the carotid triangle is not advised. The submental triangle in the neck is situated underneath the chin. It contains the submental lymph nodes, which filter lymph draining from the floor of the mouth and parts of the tongue. Medially – midline of the neck. The base of the submental triangle is formed by the mylohyoid muscle, which runs from the mandible to the hyoid bone. Fig 4 – The submental triangle of the neck. 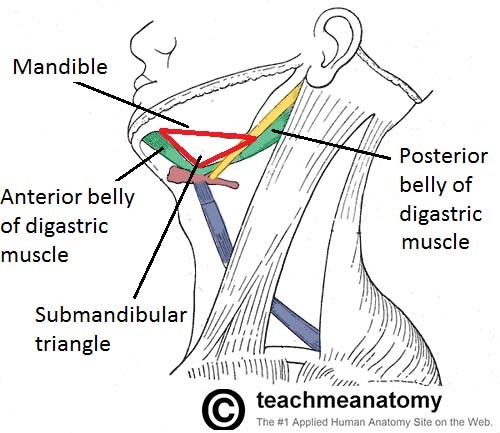 The submandibular triangle is located underneath the body of the mandible. It contains the submandibular gland (salivary), and lymph nodes. The facial artery and vein also pass through this area. Superiorly – body of the mandible. Anteriorly – anterior belly of the digastric muscle. Posteriorly – posterior belly of the digastric muscle. The muscular triangle is situated more inferiorly than the subdivisions. It is a slightly ‘dubious’ triangle, in reality having four boundaries. The muscular triangle contains some muscles and organs – the infrahyoid muscles, the pharynx, and the thyroid, parathyroid glands. Medially – imaginary midline of the neck. Supero-laterally – superior belly of the omohyoid muscle. 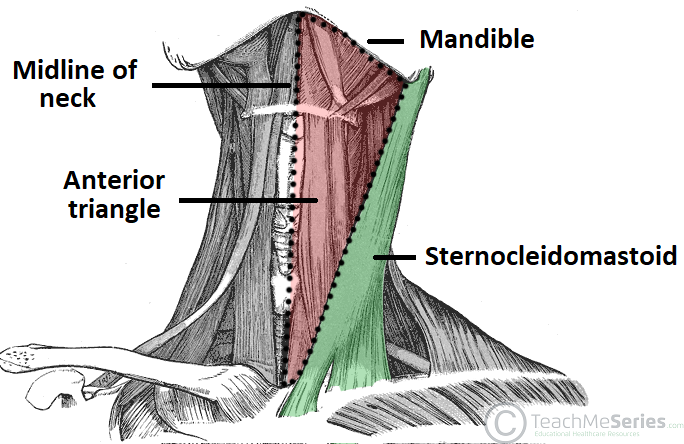 Infero-laterally – inferior portion of the sternocleidomastoid muscle. Fig 6 – Muscular triangle of the neck. Which of the following is NOT a border of the anterior triangle? Sagittal line down the midline of the neck. Which of the following cranial nerves can be found in the anterior triangle? Which important vascular structure bifurcates within the carotid triangle?